When Jodie Baker moved from Kansas City, Missouri, back to Melbourne, Australia, in 2012, to join law firm Hive Legal, she began internally developing a technology that would become matter management platform Xakia. She took Xakia out on its own in mid-2016, only to find an undeveloped local legal technology market. Just three years later, the legal technology ecosystem in Australia has exploded. For starters, the Australian Legal Technology Association, of which Baker is deputy chair, was founded in 2017 and has created a central meeting place for both startups and established companies to convene and strategize with one distinct goal: to grow Australia’s legal technology provider community. It’s not just vendors; there’s also a growing acceptance of legal technologies in the overall legal marketplace. The rise of corporate legal operations among some of Australia’s largest companies was on display when the Corporate Legal Operations Consortium held its first Australian event in late 2018. Australian firms have innovated in recent years with artificial intelligence, data analytics and other new technologies. Even courts and law schools are getting in the game. Add it all up, and it’s clear that tech-savvy law firms and corporate legal departments are going to start hearing from their Aussie counterparts more and more as the country grows into an international legal tech player. Just as in other countries, the focus on Australian legal technology has largely stemmed from an increase in data—both in the number of data sources and in the sheer amount of data collected by law firms and corporate legal departments alike. But while the U.S. focus on data in the courtroom has been evident since rulings like 2012’s Da Silva Moore, the first ruling of its kind in Australia’s courts did not occur until 2017’s McConnell Dowell v. Santam, where a document set numbering around four million in total led Supreme Court of Victoria Justice Peter Vickery to order technology-assisted review in the case. Necessity has been the principal catalyst for the development of technology-assisted review, he says. Indeed, data is the main reason legal technologies have exploded worldwide. Unlike the United States, though, many of Australia’s legal technology companies do not traffic in e-discovery, at least not directly. Instead, notes Julian Uebergang, the focus has been on data in a different way—through analytics insight and increased collaboration. Today, Uebergang is the managing director of the Asia-Pacific region for artificial-intelligence-focused legal tech company Neota Logic, but he previously worked in the e-discovery industry. He sees a lot of similarities between the maturation of the early U.S. e-discovery market and newer Australian legal technologies—where the focus has been on new technology, but not the exchange of data. The evolution may already be underway, with law firms like Corrs Chambers Westgarth taking the lead. 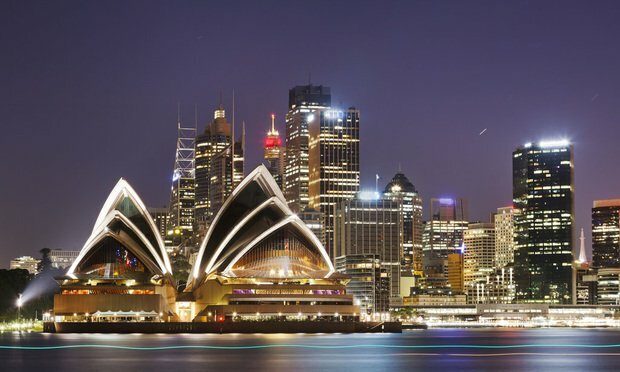 An international law firm of 600-plus attorneys based in Sydney, Corrs has been aggressive in recent years with implementing new technologies, including bringing in AI tool Luminance to assist with property due diligence and M&A transactions, developing internal platforms like CorrsEdge to assist document production, and creating a dedicated client technology solutions team. But to hear Corrs director of technology Berys Amor tell it, the focus of all of these initiatives isn’t new technology for technology’s sake. It’s to apply data in a way that makes a distinct difference in the firm’s operations. The explosion of data and development has expedited the need for a new innovation structure in Australia’s legal market. Uebergang says law firms like Corrs have taken charge by quickly developing sophisticated innovation arms. The numbers back him up. The Australian Legal Department Operations Survey 2018 from Corporate Legal Operations Consortium, Gen2Law and HBR Consulting, found that of the 17 companies that participated, more than half had just one legal operations professional. The median for companies in a U.S.-based HBR Law Department survey, meanwhile, was four. And while Australian legal departments were advanced in cross-functional alignment in particular, 41 percent were deemed underdeveloped when it came to technology and process support. Sheldon Renkema, general manager for legal in the corporate solicitor’s office at Australian conglomerate Wesfarmers, admits, “Australia is generally less mature in legal operations compared with the U.S.” But this trend is changing. “It has been noticeable how many people have been appointed to dedicated legal ops roles in the last year, and I expect that trend to continue,” Renkema says. But legal ops will get there, he believes—even if not on the same level as the United States. The relative size of the market in Australia doesn’t mean innovation will be stifled. Getting to the next level is simply a matter of education. The driving force behind this education seems to be coming from new entrants to the legal market. While there are some established companies as part of the Australian Legal Technology Association, a large portion of the organization’s 40-plus members are startups. Uebergang, meanwhile, has been involved for four years with a legal technology project at Melbourne University and four other Australian law schools, where a group of 60 students use technology to solve various access-to-justice problems. At Corrs, Amor has helped put this new workforce into action: The firm has built a group of young lawyers from a variety of practice areas to develop ideas and design solutions, with an eye toward maximizing value for the firm. The group, she says, “is also the champion for new technologies and assists with ideas on engagement and adoption of technology across the business.” In her view, cultural change and freeing up lawyers’ time to experiment are the main keys toward overcoming barriers to innovation. The entrepreneurial mindset and willingness to embrace new technologies could lead Australian legal technologies to continue their upward trajectory, even as more startup technology providers enter the space. Even with a population one-tenth of the U.S. and an overall legal market with smaller revenues, there still seems to be space for growth. And that means U.S.-based legal technologists and others from across the world may be interacting more and more with their Australian counterparts.